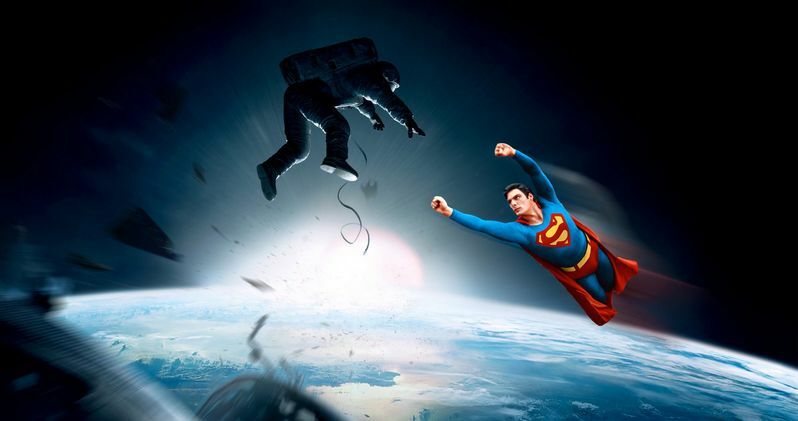 It may be a day late, as April Fool's was yesterday, but a newly discovered alternate opening scene from the sci-fi smash hit drama Gravity has arrived online, and it features none other than a cameo from the Man of Steel himself Superman (Christopher Reeve). Watch as the DC Comics superhero helps Sandra Bullock and George Clooney out of a tough jam in a scene that was ultimately rejected by the executives at Warner Bros. Kal-El's involvement drastically changes the course of the entire storyline. Oh, and stick around until the very end, as the stinger makes the whole thing worthwhile.